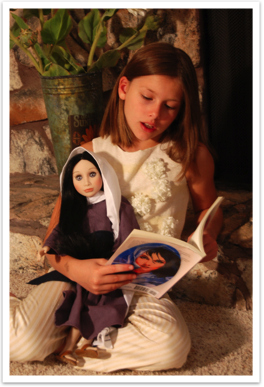 LoreLi, Inc. is proud to announce the first doll in our “Reflections of Faith” collection of dolls. This innovative line of dolls and accompanying books is sure to be among the most desired toys for your daughters this Christmas season. The “Reflections of Faith” are stories of adolescent women living in exciting periods of history who reflect the faithful women portrayed in the Bible. We strive to give young girls a biblical worldview with fictional characters that they can relate to.